Последней моделью, запущенной в серию накануне Второй мировой войны, стал двухместный легкий моноплан Kl 105 с мотором Z.9-92 в 50 л. с. Вариант с двигателем Hirth HM 500A-1 мощностью 105 л. с. обозначался как Kl 107. Права на Kl 107, разработанный Клеммом в годы Второй мировой войны, приобрела фирма "Bolkow". Самолет Kl 107B выполнил первый полет в 1956 году, трехместный вариант обозначался Kl 107C. 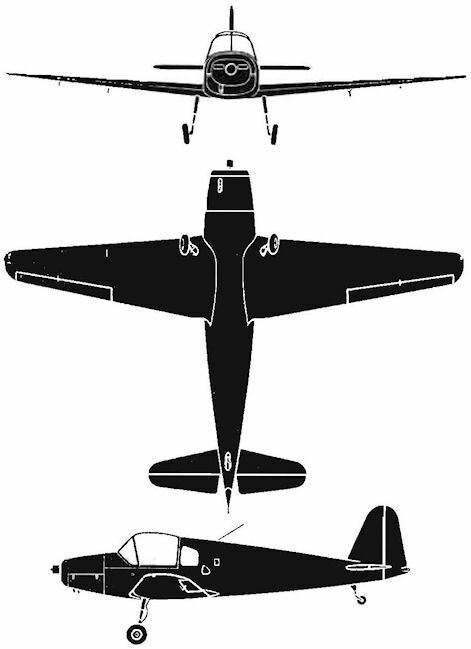 KLEMM KL.107. Developed from the wartime prototype, the considerably remodelled Kl.107 side-by-side two-seat trainer is now undergoing final test trials in Western Germany. 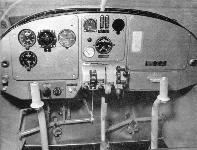 Designed by Hanns J. Klemm, the Kl.107 is at present fitted with a 90-h.p. Continental, but later models may be fitted with a 140-h.p. Lycoming. KLEMM Kl-107. During the years 1919-24 Dr. Hanns Klemm developed a series of ultra-light monoplanes, some of which were constructed under licence in England . 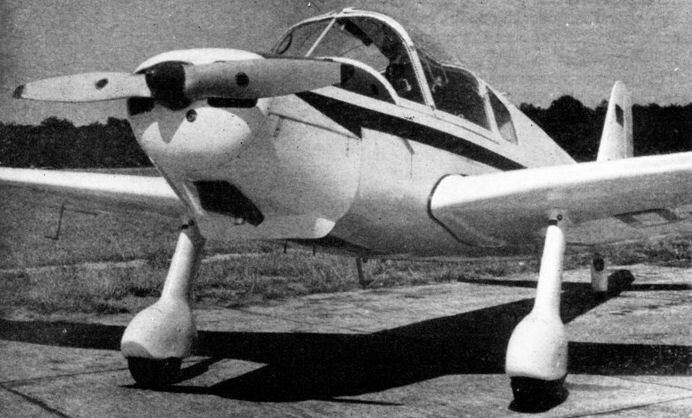 In succession to these ultra-lights, the Klemm company produced the Kl-31 and Kl-32, three- and four-seat private touring aircraft respectively. During the last war the Klemm was fully occupied in producing aircraft parts for the larger manufacturers and it was not until 1956 that the next in the Klemm line of aeroplanes made its appearance. This is the Kl-107, developed in cooperation with the Hanns Klemm Company and the Boelkow Entwicklungen KG of Stuttgart. The prototype 107 was constructed by Wolf Hirth, a company famous for its excellent sailplanes. Like nearly all Klemm aeroplanes of the last thirty years, the 107 is a low-wing monoplane with a fixed undercarriage of the single-leg variety. Construction is mainly of wood and wide use is made of synthetic resins for wing and fuselage assembly . It is designed for training, private air touring and may be used as a small-scale feeder and transport aircraft. The aircraft's cabin is spacious, and large Perspex windows with minimum framing and no divisions give full vision. 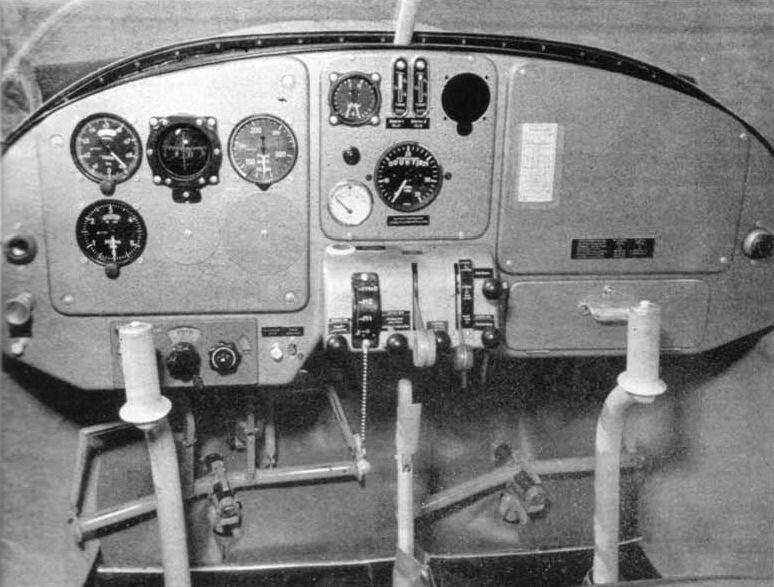 The two doors open forward ; the two side-by-side seats are adjustable on the ground and are designed to take parachutes. Aft of the pilot is a third seat and to its right a large luggage compartment. Alternative engines are the 90-h .p. Continental or the 140-h.p. Lycoming. Production preparations are well advanced and deliveries are to start soon. Prices are between ?2,100 and ?2,600 for the 90-h.p. version and between ?2,600 and ?3 ,000 for the 140-h.p. version. Main details are as follows: span 36 ft. 10 in., length 27 ft. 4 in., height 9 ft. 8 in., wing area 157 ft ., weight empty 1.170 lb., loaded 1,634 lb ., maximum speed 114 m.p.h ., cruising speed 103 m.p .h., range 470 miles.